The common human desire to always develop is the best engine. So, it is not strange that with the lapse of time as a website owner you will want to enlarge your audience. Even though you create your website on common international languages as English, French or etc., you limit your target audience. To reach more and more visitors, your website has to become multilingual. This small "trick" will not only increase the number of targeted audience but also will positively affect on the website's SEO. In brief, having a multilingual website nowadays is very up-to-date and must-have feature for everyone. If you are a WordPress website owner and want to convert your site to the multilingual one, you have some available options to do it. The easy but not very effective way is the help of Google Translate. You approximately can imagine the gaps of its usage. Google Translate will automatically translate the whole content of the website into another language. The quality of translated content leaves a lot to be desired. So, try to avoid this option or use it at the worst. Surely, the translation of each content by hand will be the perfect solution. Also, it is possible to hire a translator. 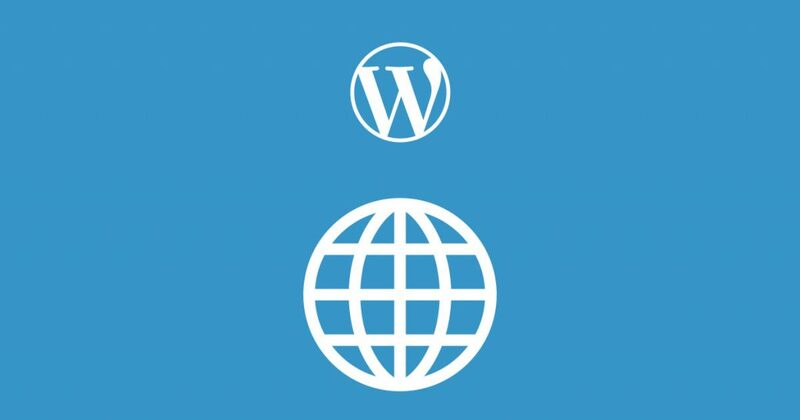 Anyway, if you already have translated page and content, next step is making of your WordPress website multilingual. A large and really cool variety of multilingual WordPress plugins which will do all work instead of you. qTranslate is the free plugin, special for "lazy users". This plugin is very simple - no special design, no difficulties! It will be always available to immediately propose its help after installation. Important to mention that due to its easiness qTranslate does not negatively affect the work of your WordPress site. Easy, fast and smart - it is all about qTraslate. qTranslate X is the updated version of qTranslate. The latter had not updated with the latest versions of WordPress. So, this plugin was created to solve mentioned problem. The plugin can translate pages or certain posts, as well as create separate versions for each type of content on the website. qTranslate X is completely compatible with the old qTranslate and copies all previous settings from it. The user's interface is simplified and more convenient. As its predecessor, this plugin is also free. Isn't it nice?! WPML is one of the favorites. The plugin provides support of more than 40 languages, plus the ability to customize local dialects. Also, you can choose the versions of the main language by the usage of the language editor. WPML has good technical support and regular updates. Unlike the previous plugins, this plugin is not free. The price fluctuates from 29$ to 195$ depends on the functions and possibilities that you want. In addition, WPML highly compatibles with other WordPress plugins and themes. Do not underestimate the power of WordPress plugins. They really make your work calm. But it is necessary always check how a plugin is compatible with other plugins. Especially, if this plugin responsible for multilingualism of WordPress website. Otherwise, this common problem will disturb you. The example of Aparg SmartAd ad management plugin will nicely surprise you. It offers a huge bunch of different tools, features and functions to make the process of an ad's placing more pleasurable. In one of the former articles "Targeting the audience for your content and ads in WordPress blog" was detailed described how to use filters of Aparg SmartAd and rightly reach your target audience. So, the latest updates of the Aparg SmartAd have added one more great and significant option of the filter by language. To manage the opportunities of each ad campaign you can add in a certain field (Include or Exclude) any posts, categories, tags, pages and already languages. To get the proposed list you may use the keyword language. Aparg SmartAd's language filter is perfectly working with the mentioned three multi language plugins (qTranslate, qTranslate X and WPML). So, no cause to worry!